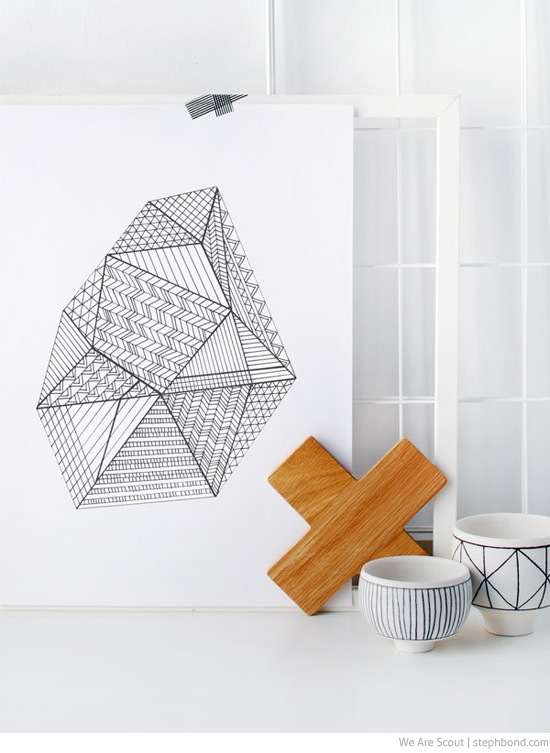 My dear friends Lisa and Rebecca over at We Are Scout are giving away this gorgeous faceted gem colouring page that Lisa designed - for free! Head over to download the image, and let your kids go to town; instant modern kids' art that you'll want to hang on the walls. Try framing three together, or simply pop one up on the wall with washi tape. It's a great way to keep kids busy when the weather's not great. Thanks Lisa and Rebecca! Head here to download your sheet.